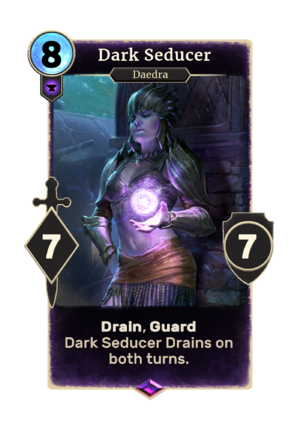 Dark Seducer is an epic Endurance creature card. It is part of the Isle of Madness story set. For more information on Dark Seducers, see the lore article.